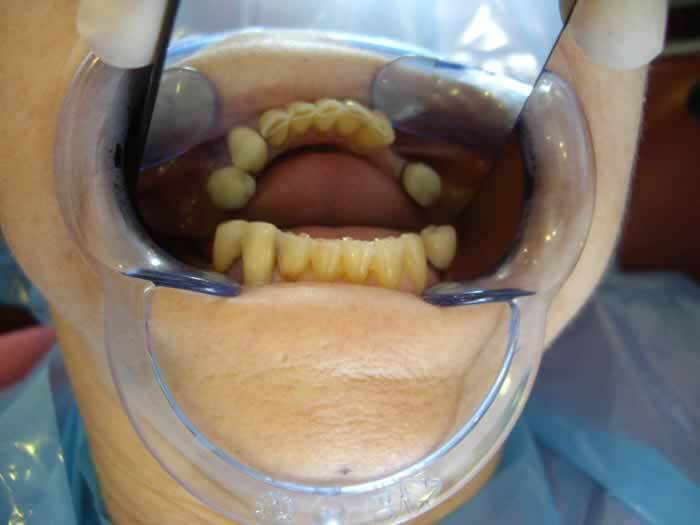 This lady was wearing a full upper denture for over 2 decades. It was causing her great difficulty to eat, and also her front teeth were wearing down, so she was unable to smile. 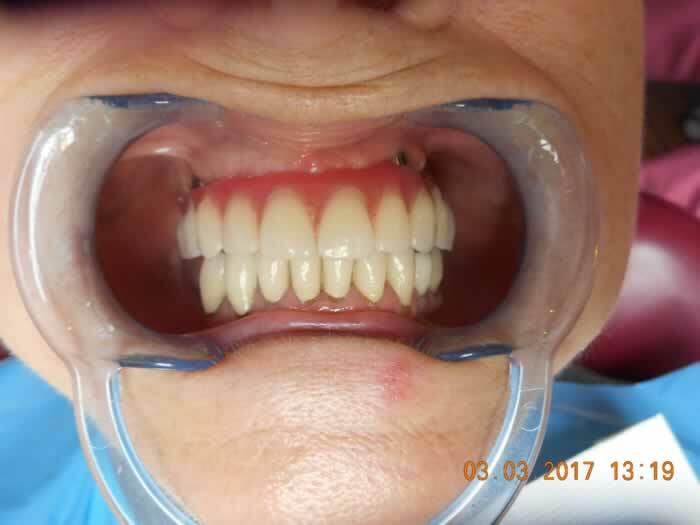 She wanted to get rid of her uncomfortable denture and get a fixed denture and also improve the appearance of her lower teeth. 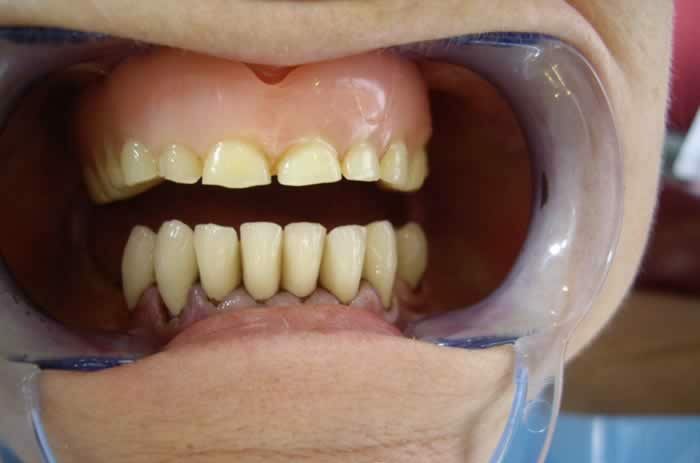 We decided to place in 4 implants in the upper jaw and place an implant retained denture with no plate over them. 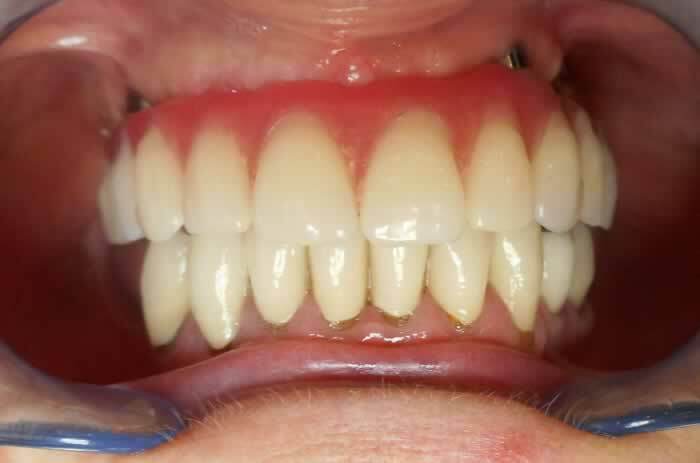 We also restored the lower teeth with putting zirconia crowns on them. It gave back the function and also her self confidence. She had no more issues with chewing, she said that she could eat anything now. 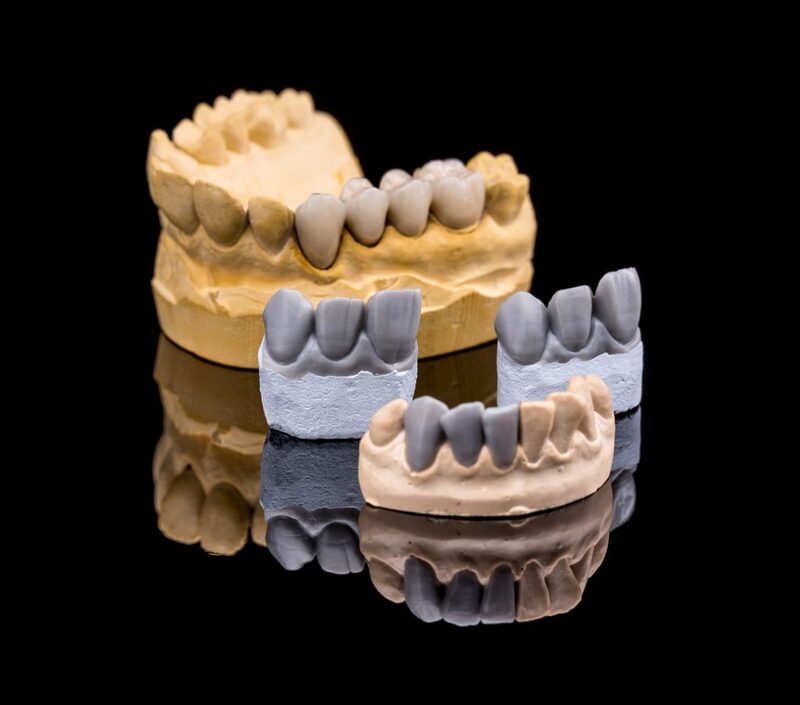 The treatment was done in stages over 10 months.